From seeds to tiny plants sprouting in the dirt to fully grown produce, food takes quite a journey before it makes its way onto our plates. And no one is more familiar with this than the farmers who grow it. "There's a wealth of knowledge if you talk to a farmer about food or eating," said Jennifer Van Wey of Quackenbush Farm. "If you get to talk to the farmer, that's the best. They'll have recommendations on how to prepare and store it, and how to pick something that's ripe." Whether it's through a fully immersive internship program or growing the same heirloom tomatoes that originated with a customer's family, many farmers in the area are encouraging community members to become connected with the food they consume. Two of these operations are Quackenbush Farm and Uncle Waynes Tomatoes in Eagle Creek. A love of food and community piqued Jennifer and Matt Van Wey's interest in farming. "We got the idea of having a farm center to create a community to connect to other families, where we can call home and come visit," Jennifer Van Wey said. "We love to eat and cook food, and we realized how much better food is when it's local and sustainable." The Van Weys originally started Quackenbush Farm in 2014 in Ridgefield, Wash., with two friends. Last year, the pair relocated the operation from the five acres they rented to 18 acres they purchased along Heiple Road. "We tilled the garden before we even unlocked the house," Van Wey said, recounting their excitement. Quackenbush Farm grows many types of vegetables, including lettuce, radishes, carrots, turnips, cucumbers, corn, squash, garlic and onions. There are also several lesser known varieties, such as conehead cabbage and kohlrabi. Though plants are harvested during specific times, there are tasks to be completed around Quackenbush Farm all year. The first few months of the year are dedicated to planning and ordering seeds. Planting typically begins in March, and the harvest starts in May and continues throughout the summer. Early summer crops include lettuce, radishes, turnips and leafy green plants. These are followed by root crops like carrots and beets. The fall sees the harvest of plants such as winter squash. Van Wey noted that with the farm's new green house, they may consider planting during the winter months as well. After the farm moved last year, the Van Weys were able to keep many of their community connections. "We go to a lot of the same markets. It's close enough, and we wanted to maintain our customer base," Van Wey said. The Quackenbush Farm team connects with customers at the Vancouver Farmers Market, the Camas Farmers Market and the Moreland Farmers Market. Moving forward, they would like to participate in farmers markets in Estacada, Welches and Milwaukie. 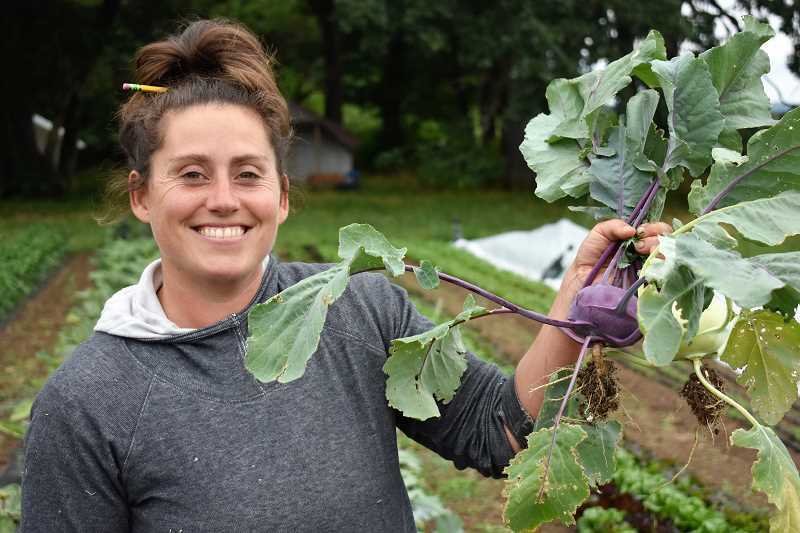 There are several additional ways those interested can connect with food and farming at Quackenbush Farm, including a community supported agriculture program. The program currently has 16 participants and connects recipients with a box of recently-harvested produce each week. For those wishing for a more immersive experience, the farm also offers a seven-month internship program. "We wanted to create an environment where someone could spend a season on the farm," Van Wey said. Currently, two interns live on site and assist with seeding, planting, irrigation, farmers market sales and record keeping. Since relocating to Eagle Creek, the Van Weys have also strived to generate interest around the farm's workshare program, which was popular at the Ridgefield location. Through the program, people spend a morning harvesting the farm's plants and leave with food. "We hope to meet more local people who like to get their hands dirty and eat vegetables," Van Wey said. Meanwhile, at Uncle Waynes Tomatoes, interacting with people is Carl Barney's favorite part of the business. It's fitting, since connection with others was Barney's inspiration to start the farm 21 years ago. "My Uncle Wayne grew tomatoes and had a huge garden," he said. "You never went to his place without leaving with a trunk full of tomatoes." Barney runs the operation on Filbert Road with his wife, Kay, and several other family members. They grow more than 350 types of tomatoes. "What's unique is the number of varieties we do," said Barney, noting that they've branched into peppers as well. "People will say 'I didn't know there were so many varieties.' The diversity in tomatoes has really increased in the last 20 years." When selecting tomatoes to grow, Barney is often drawn to ones with unusual names, such as Lover's Lunch and Girl Girl's Weird Thing, both of which have grown on the farm. At Uncle Wayne's Tomatoes, preparation for the season starts in December when seeds for the coming year are ordered. Barney bases which seeds he purchases on sales from previous years. The tomatoes are planted in March and harvested in late April. The two biggest events for Uncle Waynes Tomatoes are the Home and Garden Idea Fair in Ridgefield, Wash., and the Clackamas County Master Gardeners Spring Garden Fair in Canby. Additionally, those interested in purchasing tomatoes or peppers can also make an appointment to stop by the farm. "We're a mom and pop operation, and pop sometimes takes mom out to lunch," Barney said. Spring is the farm's busiest season, and Barney estimated they sold more than 12,000 plants this year. He enjoys connecting with customers, whether they meet at one of the fairs or stop by the farm. "Plants are something I deal with. People are what I'm in it for," he said. Barney said that Uncle Waynes Tomatoes just completed "its best year ever," which he credits to interactions with customers. "At markets, I try to be enthusiastic and educational. I point at the plants and interact, and to a certain extent that's agritourism," he said. "I'm the highest priced one, but people say 'I like buying from you because you talk to me.'" He also ensures customers know how the tomatoes should be planted and cared for. Barney added that tomatoes are often a source of memories for people, which makes talking to customers fun. "It's exciting to remember a tomato from your childhood, the same one your grandpa grew in his garden," he said. He noted that one customer brought him the final seeds for an heirloom tomato her family grew so he could continue the tradition. Barney noted that there is a "dramatic difference" between buying produce from a store or from a farmer. 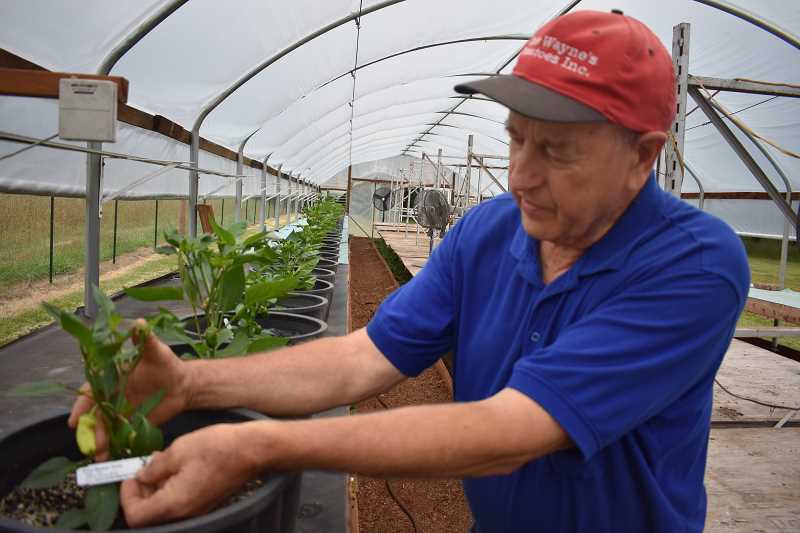 "(At the store), plants are hybridized for uniformity, durability and storage," he said, adding that purchasing produce from a farmer allows consumers to be more aware of the story surrounding the food. "It's not just going to the store and grabbing something off the shelf. There's a whole process of food coming into being," he said.